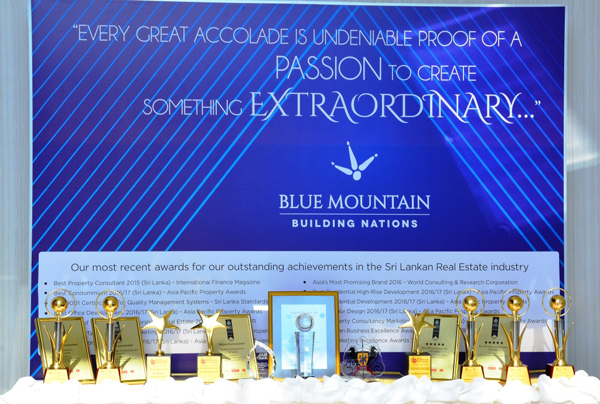 Blue Mountain Apartments, part of the Blue Mountain Group, held the ground-breaking ceremony of its most iconic development project and one of the biggest such projects to-date – Achilleion, Colombo’s first 7 star luxury apartment complex, on 19th of January, amongst a distinguished gathering of several diplomats, VIP guests and other distinguished members of the corporate community. Hon. 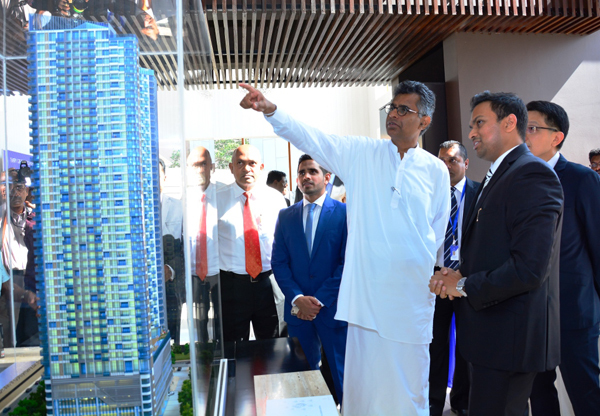 Patali Champika Ranawaka – Minister of Megapolis and Western Development was the chief guest at the ground-breaking ceremony. Scheduled for completion in 2020, the mega project is valued at Rs. 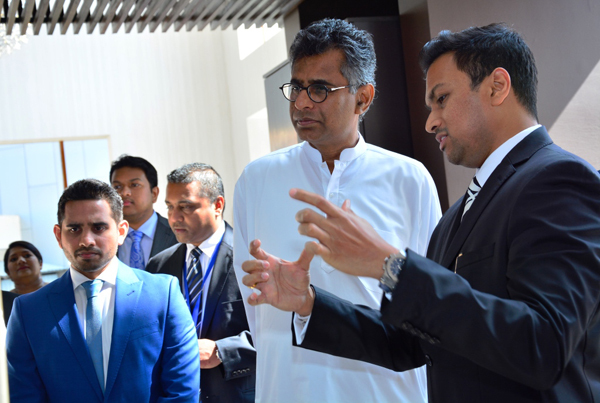 30 billion, and will usher in never-before seen levels of innovation and opulence to the heart of Sri Lanka’s capital. In this project, Blue Mountain Apartments partnered with the renowned Singapore-based Palmer and Turner Group and interior design firm Index. Achilleion was recognised at the Asia Pacific Property Awards 2016/2017, one of the region’s top awards shows that is dedicated to acknowledging exceptional real-estate projects across the region. The complex will be built on a land which is valued at Rs. 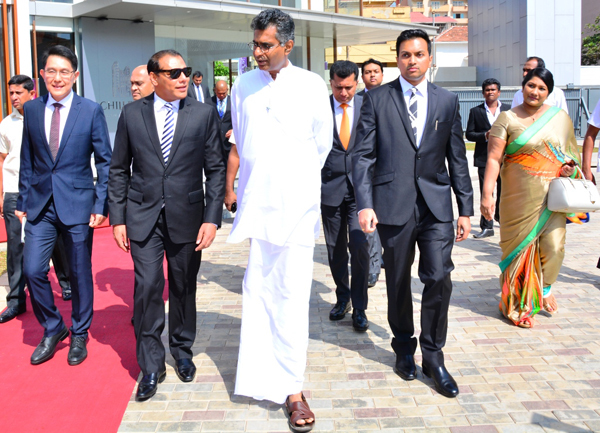 2.34 billion, which is one of the biggest land acquisitions in Sri Lanka in recent history. 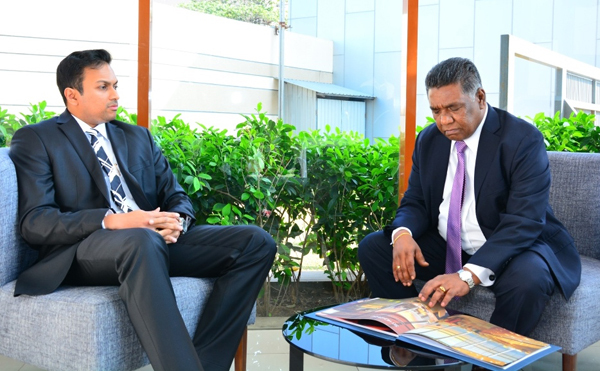 The project site is located in Bambalapitiya, Colombo 4 in close proximity to Colombo’s main shopping centres, schools, restaurants and supermarkets. Its proximity to the Indian Ocean and the stunning vistas it will offer residents makes it a compelling investment. 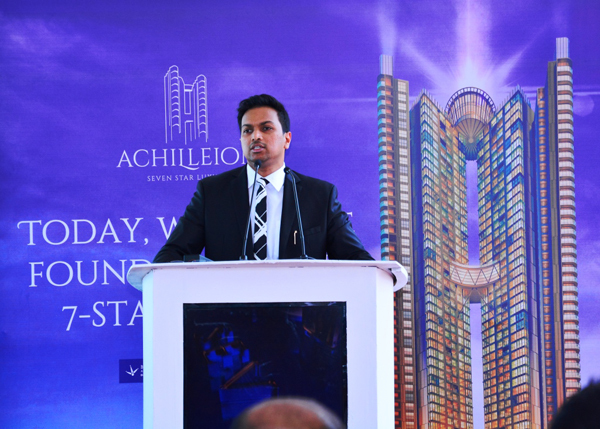 Achilleion will deliver discerning home-owners cutting-edge facilities, which have been incorporated into the property’s iconic design. 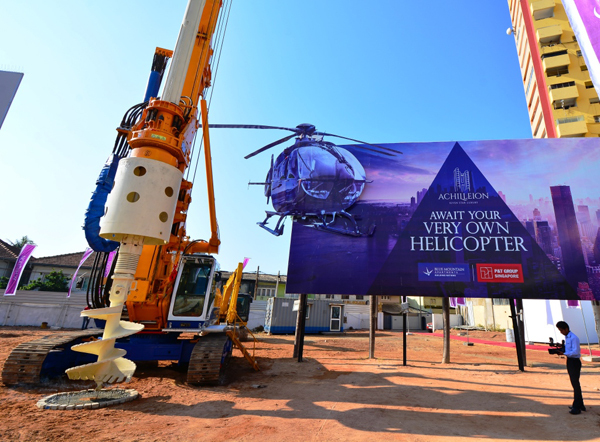 In order to ensure that residents always travel in style, the complex will offer access to a rooftop helipad and a private helicopter for the use of the residents. 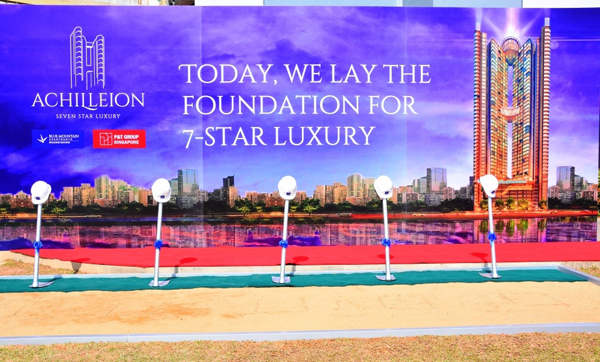 A fleet of 5 Mercedes Benz luxury cars will also be available for residents to use at their leisure. 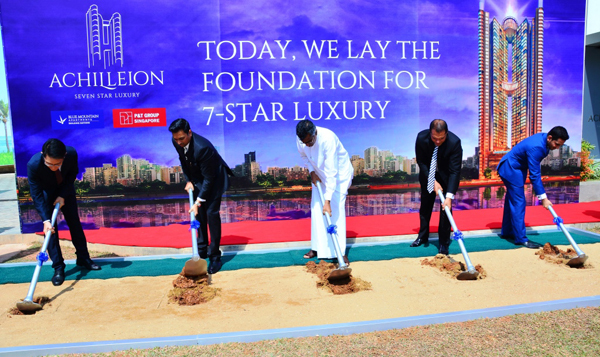 This state-of-the-art complex will also feature Sri Lanka’s first-ever sky bridge, the tallest sky restaurant by sea and an infinity pool, which will offer breath-taking views of the Indian Ocean and the vibrant Marine Drive stretch. Other facilities include a 24-hour medical centre – the first of its kind to operate in a private residential complex, a comprehensive library and a private theatre. 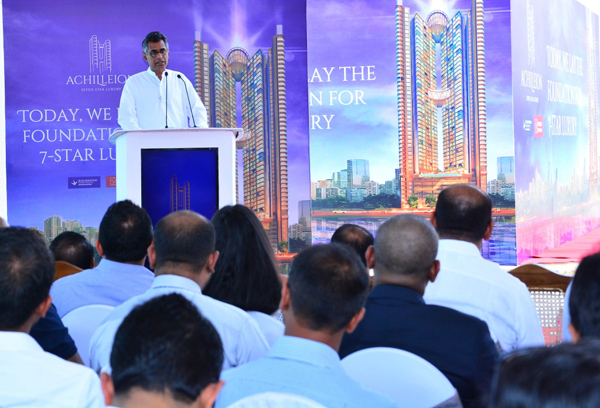 The 50-storey twin tower apartment complex will consist of 584 luxury units of one, two or three bedroom apartments, duplexes and two penthouses with more than 85% of the apartments enjoying the glorious view of the Indian Ocean. No expense has been spared to enhance every aspect of the complex to ensure that the project value remains high. The apartment units (with one, two and three bedrooms) will feature smart technology, chic and lavish interiors and the finest fittings. Given the massive response from interested investors since it was unveiled, Blue Mountain advises interested parties to reserve personalised tours on: 0714260260 prior to visiting the site, so that the company’s executives can ensure prospective buyers truly experience the grandeur of Achilleion. Earlier this year, Achilleon’s show apartment was unveiled – rising 100 ft above sea level, believed to be the tallest stand-alone show apartment in the world.